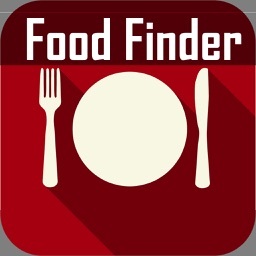 SALT - Find Better Restaurants by Varkala Inc. FEATURED in the App Store! 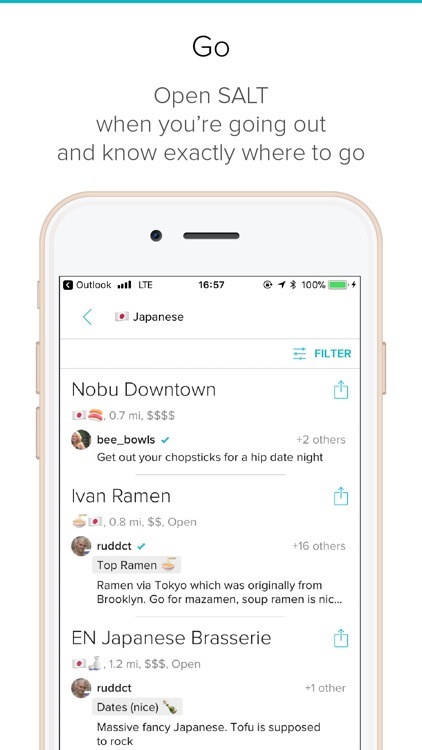 AS SEEN ON InStyle, Eater, goop, Mic, Product Hunt, Skift and other media outlets. Choosing where to eat or drink should be easy and fun. 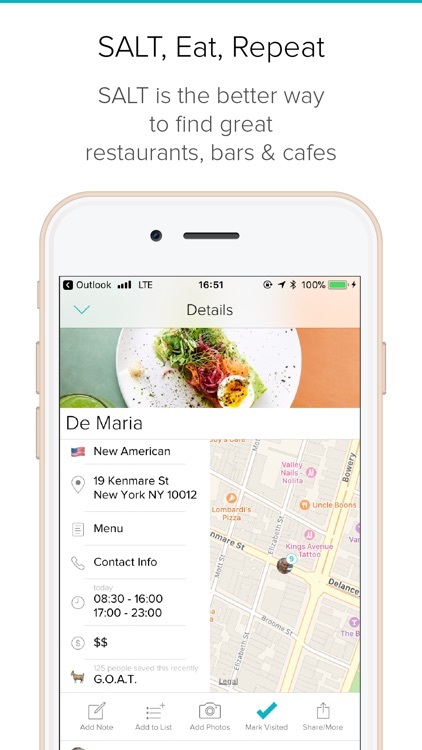 That’s why we built SALT - a beautiful, seamless way to find better restaurants, bars & cafes. Over a MILLION places saved, by thousands of people around the world. 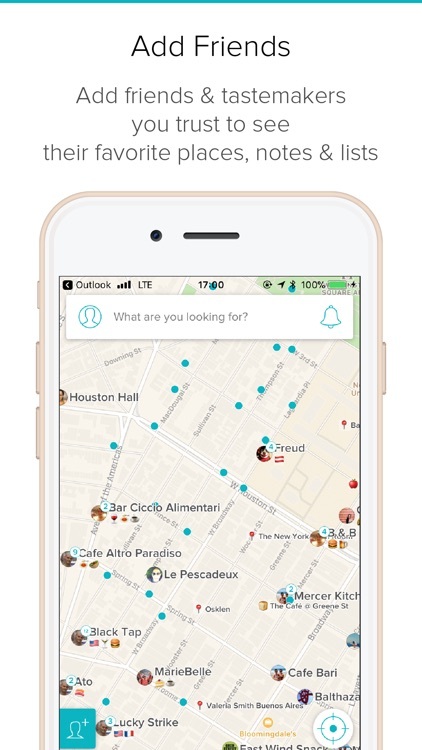 Stop relying on reviews from strangers; create your personalized SALT map with your friends! 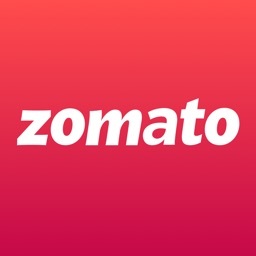 - Add your FRIENDS and see their FAVORITE restaurants. - The ability to QUICKLY save places you love or want to try to a LIST or MAP. 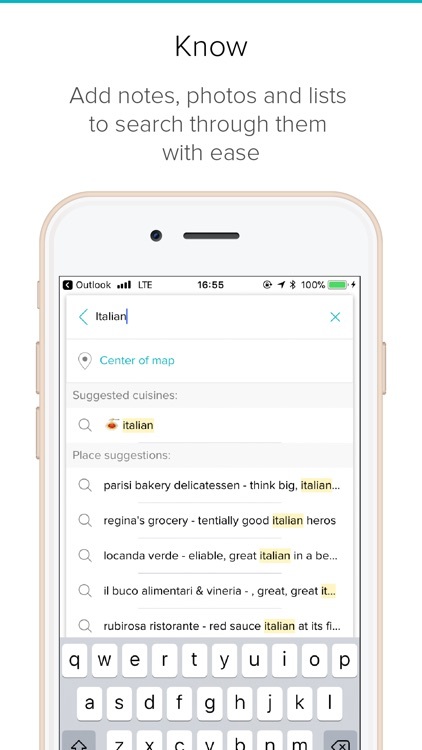 - IMPORT from ANY list of locations you’ve saved with notes on your phone, email draft, excel, online tools, or any other source. 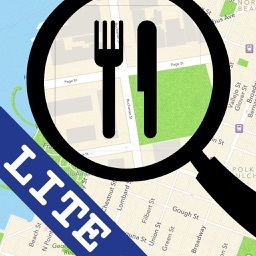 SALT is the highest rated app to ORGANIZE and SHARE great restaurants, bars, and coffee shops. - Request an UBER to any places saved on your list. - Create CUSTOM LISTS from your saved places and SHARE them with your friends. They can be viewed via a beautiful, web-accessible list even without the app. - All LOCATION DETAILS are provided - address, pricing, hours of operation, website, and phone number. 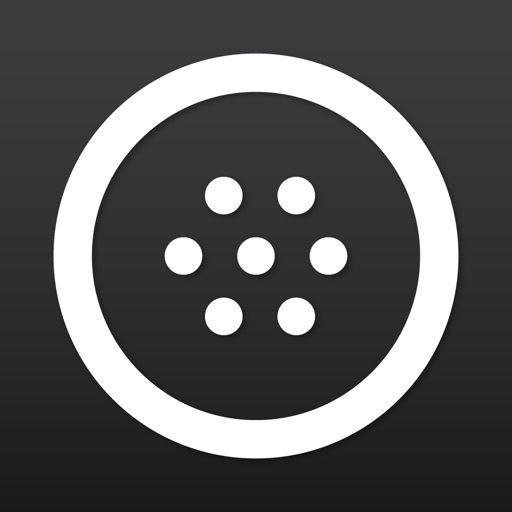 - Easily FILTER by price, open now, your must tries, or current favorites. 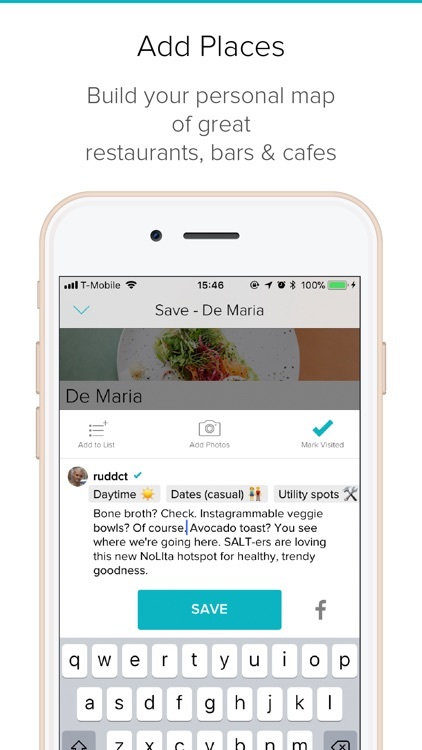 SALT is also perfect for people who follow a strict diet, (vegan, vegetarian, paleo, gluten free, keto, etc) by making it easy to bookmark the places that meet their dietary needs. Join the SALT community! 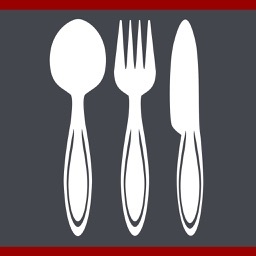 The beautiful, simple way to remember and share great restaurants, bars & cafes.